[Solved] How to Fix Bad_Module_Info Error in Windows 10 while Gamming? Is your PC/Laptop showing Bad_Module_Info Error in Windows 10 error message while playing games like PUBG, CS: GO or Fortnite? Are you suffering from game crashing issue with an error message “bad_module_info has stopped working”? If YES then you are at the right place, here in this blog you will learn the different tricks to overcome from Bad_Module_Info Error in Windows 10 error message. This error message generally starts appearing just after installing the Windows 10 Creators Update (1709). Windows 10 users have been receiving the Bad_Module_Info error while playing Steam games, and according to them, this issue began after updating to the Fall Creators Update. Once your system gets contaminated with this error message from that time all of your app especially games start crashing either while in running mode or when you try to run it. If you are suffering from this issue and want to get rid of Bad_Module_Info Error in Windows 10 then apply the below-given methods one by one. 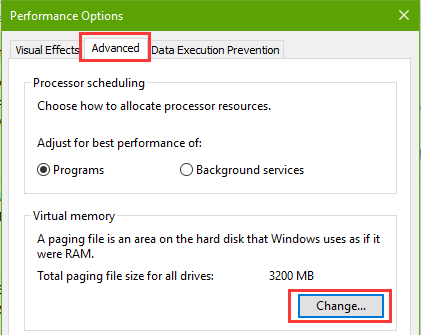 If you are running Windows 10 (v1709) on an SSD then you can easily change the virtual memory. This will stop the bad_module_info error message from popping up. Step 1: Press the Windows + PauseBreak to open the System. Step 2: On the left side, click on the Advanced system settings. Navigate to the Advanced tab. Under the Performance, item click on the Settings -> Performance Options. Step 3: Go to the Advanced tab and then click on the Change button. Step 4: Now, you have to unmark the Automatically manage paging file size for all drives. 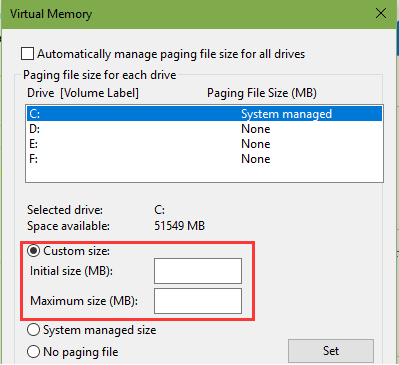 Select the Custom size to fix the appropriate paging file size for every system drive. Step 1: Find out which app is showing this error and right click on the .exe or shortcut of the app -> Choose the Properties. Step 2: After it, go to the Compatibility tab present under the Settings, and check the box behind to the Disable fullscreen optimizations. Step 3: Press Apply, and reboot your computer. Step 1: Right-click on the .exe file of your PUBG and select Properties. Step 2: Navigate to the Compatibility tab. Tick mark the option Run this program in compatibility mode that present Under the Compatibility mode. After it, click on the drop-down menu and choose Windows 7. 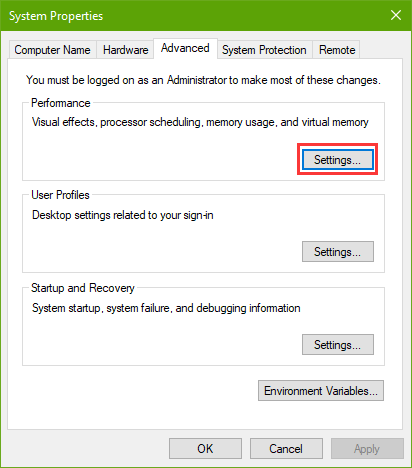 Step 3: Check for the Override high DPI scaling behavior and then choose the Application from the drop-down menu of Scaling perform by. Step 4: Now, check the Run this program as an administrator. Step 5: At last, click on the Apply and the OK button. 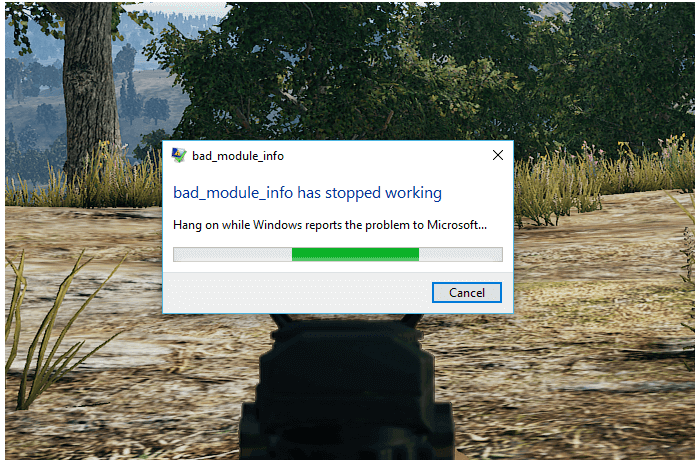 After it, try to run PUBG again and check for the “bad_module_info has stopped working” crash error. If all ok, then you have to roll back your system to the previous Windows 10 versions. 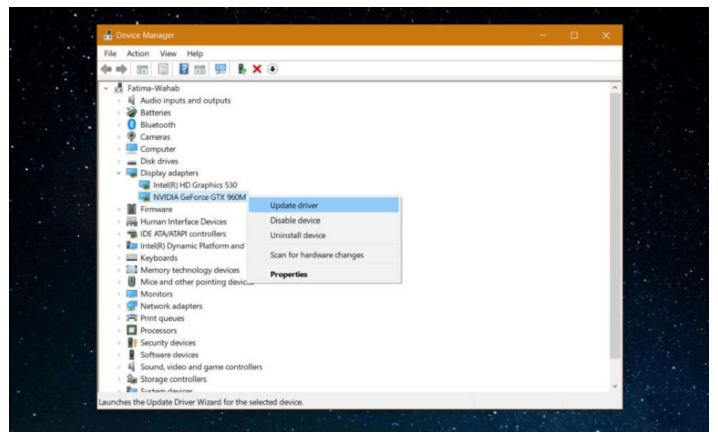 Step 1: Go to the Device Manager and right click on GPU (this will present under Display Adapters). Step 2: Choose the Update Driver. After updating your GPU drivers using the above-given process, it is suggested to also check your GPU’s manufacturer (NVIDIA or AMD) and after then click over to their website and download the available update from there. BIOS (Basic Input/Output System) is one of the important part of any windows system. It provides the communication between computer hardware components and the operating system. Hence, once the BIOS get outdated then it can result in may trigger the game crash errors such as “bad_module_info has stopped working”. So, it is suggested to update your BIOS. To do this, first, you have to find out the manufacturer of your motherboard and then visit the product support site of your motherboard. From here you can download the latest update for your BIOS. After downloading, install it on your system and see if the issue is fixed or not. All the above given 5 fixes are verified, so don’t take tension about their effectiveness. Start applying the solution from Fix 1 and check for the error or issue after applying each of the solutions. After fixing the problem, now it is the turn to kill or fix all other undetectable issues present in your system. To do this you have to scan your entire computer system or laptop with a professional PC Error scanner. This error troubleshooter will help you to overcome from all types of Windows problems like dll error, registry errors and other issues. Try this once and make your system fast & error free. [Solved] How To Fix a Computer That Won’t Turn On?